Hello, ladies and gentlemen, and welcome to Free Fiction Friday #141! For those of you who are new to this blog, or who may have missed out on the previous Free Fiction Fridays—every Friday I post an article containing 10 fiction e-books that are 100% FREE on Amazon at the time of posting and an additional 5 that are roughly of the same genre, and on sale for less than $5. 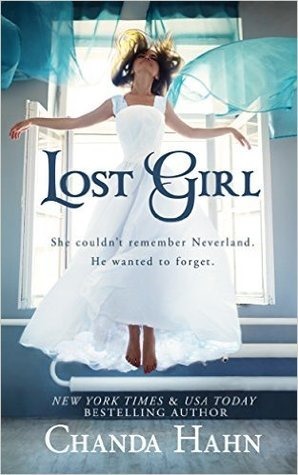 Lost Girl by Chanda Hahn was a familiar story with a science fiction twist that was both delightful and fast paced. The author did an excellent job of taking the well-known children’s story of Peter Pan and twisting it into a face-paced YA Thriller/Romance. There were themes of genetic manipulation, human testing, super-powers, and even a taste of the supernatural. Technically speaking, the book was well written. At times the repetitive use of character names could come off as a bit overdone, but it was easy to understand why the author chose to do it. The style of the book was easy to follow and understand for teen readers without dumbing it down too much or over-hinting at any of the story twists. There were some surprising twists and turns to the story, and I found the characters complex enough to hold my interest despite their familiarity. The romance was expected, but intriguing once the unfamiliar character of Jax was introduced. Overall, I enjoyed the story and would certainly consider moving on in the series. I’ll be interested in seeing how this series pans out. Hello, ladies and gentlemen, and welcome to Free Fiction Friday #137! For those of you who are new to this blog, or who may have missed out on the previous Free Fiction Fridays—every Friday I post an article containing 10 fiction e-books that are 100% FREE on Amazon at the time of posting and an additional 5 that are roughly of the same genre, and on sale for less than $5. I try my best to make sure they are all 4+ stars, have over 40+ reviews, and are 100 pages minimum—so you can have a hand-picked list of the best-of-the-best to choose from and enjoy over the long weekend (while I do more important things, like laundry). I try to switch up the genres every week, and this week our theme is: Young Adult Mystery, Thriller, & Suspense! Hello, ladies and gentlemen, and welcome to Free Fiction Friday #133! For those of you who are new to this blog, or who may have missed out on the previous Free Fiction Fridays—every Friday I post an article containing 10 fiction e-books that are 100% FREE on Amazon at the time of posting and an additional 5 that are roughly of the same genre, and on sale for less than $5. Hello, ladies and gentlemen, and welcome to Free Fiction Friday #129! For those of you who are new to this blog, or who may have missed out on the previous Free Fiction Fridays—every Friday I post an article containing 10 fiction e-books that are 100% FREE on Amazon at the time of posting and an additional 5 that are roughly of the same genre, and on sale for less than $5. I try my best to make sure they are all 4+ stars, have over 40+ reviews, and are 100 pages minimum—so you can have a hand-picked list of the best-of-the-best to choose from and enjoy over the long weekend (while I do more important things, like laundry). I try to switch up the genres every week, and this week our theme is: Young Adult, Mystery, Thriller & Suspense!